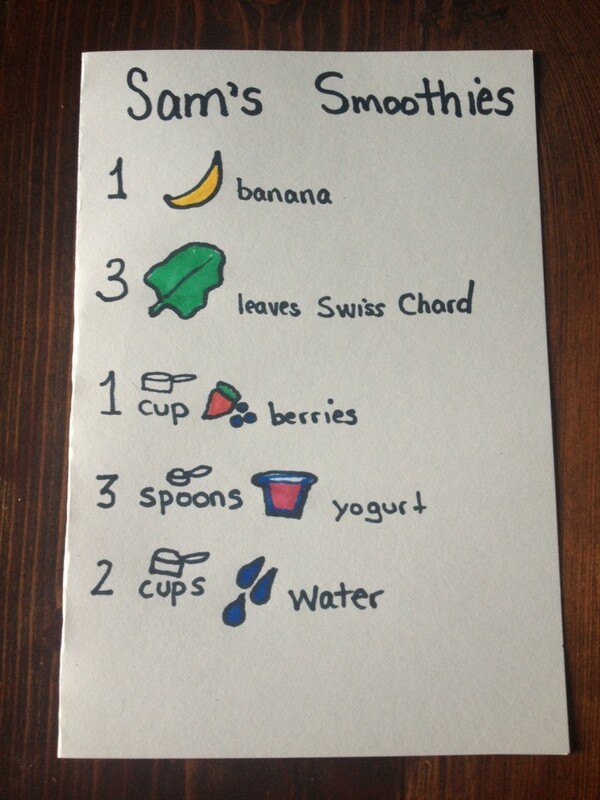 An important activity for kids to practice is following directions. Using a recipe is a fun way to practice this skill. It also makes for a reading activity and math activity too! Isn’t it great when that happens?! My kids all love to bake – and in my house, baking or cooking refers to anything that involves mixing at least two ingredients together. My sister told us about this great recipe. I love it as a kids recipe because it is almost impossible to make it wrong. The measurements are really just a formality. It is much more, “a little bit of this, a little bit of that” kind of a recipe. 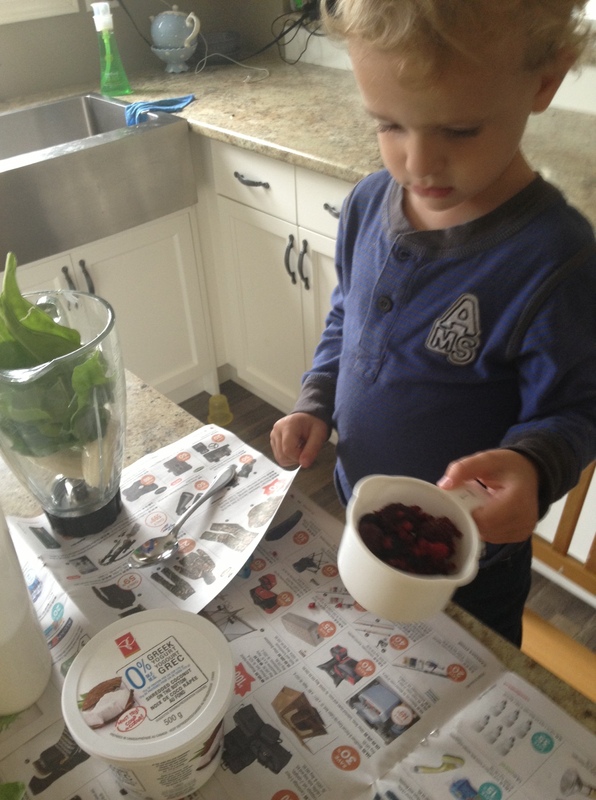 After making this recipe a few times with Sam, I let him try it all on his own. In preparation I laid out newspaper (for easy clean up), got everything he would need out, and put water in a small container for him to pour from. Then he got to making! And even helped with the pouring and of course serving. 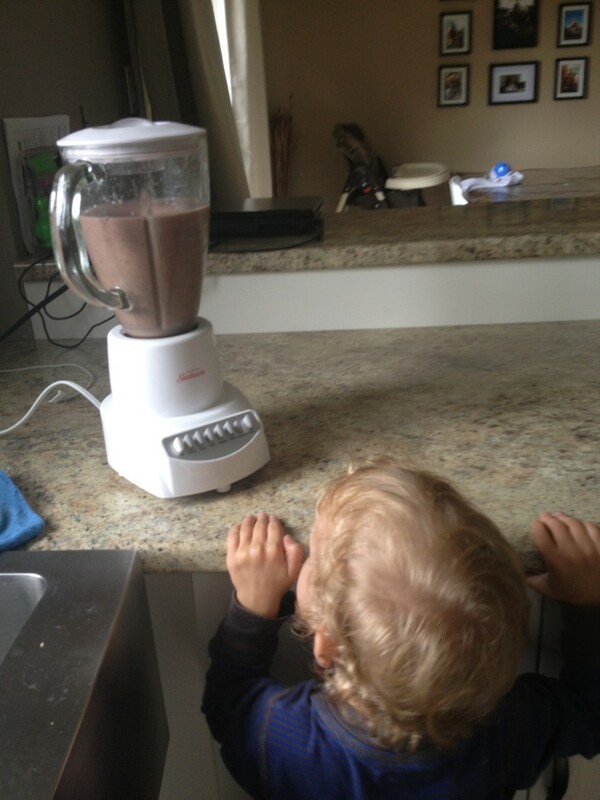 He could not have been more proud offering cups full of “Sam’s Smoothie”. Experiences like this make me happy, but also a little sentimental. He is growing so quickly! He is becoming such a capable little person – which is of course wonderful, but I do wish he would slow down just a bit. 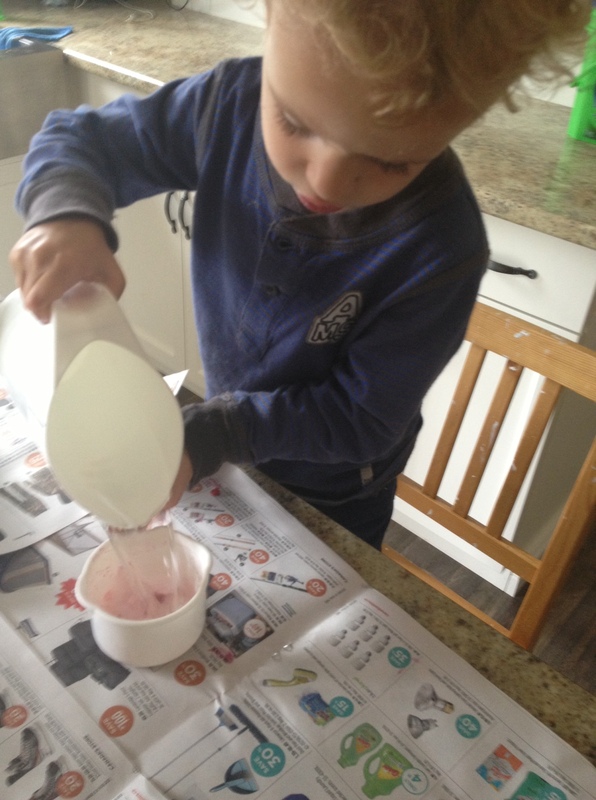 Following a recipe is an excellent reading activity. 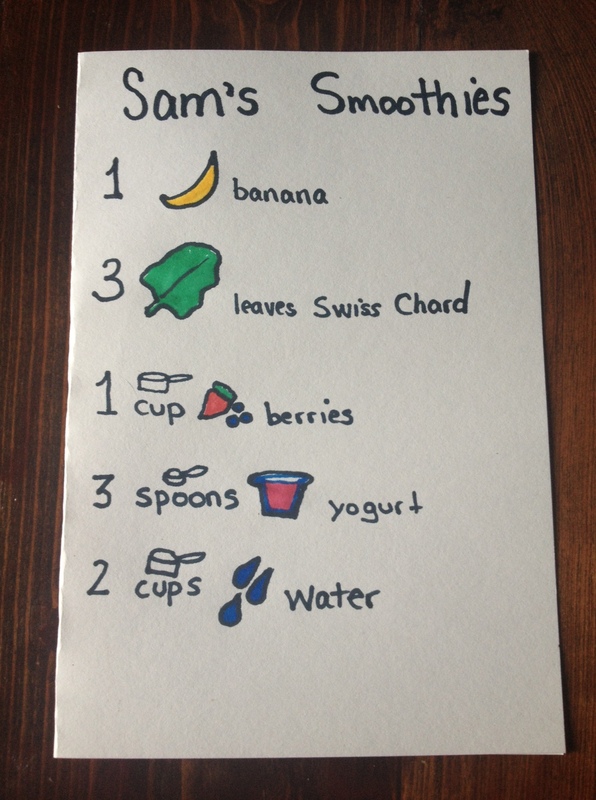 And most recipes can be adapted with simple pictures to help pre-readers follow along. This activity is also a super math activity, as you have to measure and count. And most importantly – it tastes super!! Please consider following us on Pinterest so we can share more creative learning activities with you and your wee ones! Thank you! « Alphabet Games for Preschoolers: The Letter Monster! Thank you Anna. SO glad you think so. Love how you allow him to be so independent! Thanks for sharing on the Discover and Explore linky! I’ve been thinking about creating some visual recipes for my oldest daughter. She’s very interested in cooking and meal preparation lately. I love that your recipe is so easy to follow. Thank you for linking up to Discover & Explore. I’m featuring this post today. Thanks Shaunna! 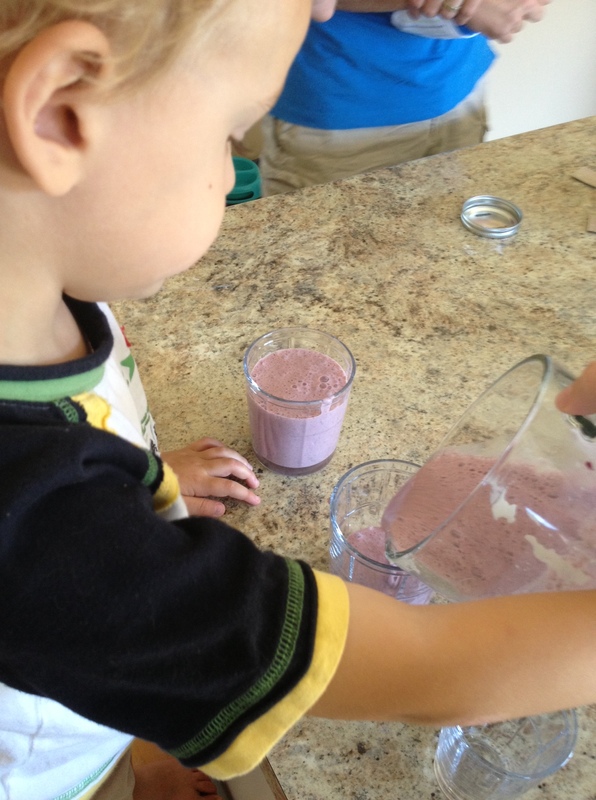 My daughter loves cooking – and started following simple recipes very young. She is now 11 and quite the cook and baker. I bet your wee one will be too! Thank you for featuring our post!